Dr. Frank Harvey is the Founder and Bishop of Covenant Life Ministries, an international Apostolic network of churches and ministries. He and his wife Shirley pioneered New Covenant Church, Clyde, North Carolina in 1977 and remained as Senior Pastor there until January 2004. Prior to the founding of New Covenant Church, Dr. Harvey served as an evangelist and a Southern Baptist Pastor in Maryland and North Carolina. He graduated from Fruitland Baptist Bible Institute in Hendersonville, NC, and has earned both a Bachelor of Ministry and a Master of Theology degree from Christian Life School of Theology, Columbus, Georgia. In 1998, he was awarded an honorary Doctor of Divinity degree by Christian Life School of Theology. Dr. Harvey has ministered in hundreds of churches of all denominations throughout the United States and internationally. Dr. Harvey functions in an apostolic role with several ministers and churches, both in the U.S. and abroad. He has been instrumental in planting several new churches and helping to reconstitute others. Dr. Shirley Harvey is the wife of Dr. Frank Harvey. Together, they founded and pastored New Covenant Church for over twenty six years. New Covenant Church is a non-denominational, spirit-filled New Testament church, located in Clyde, North Carolina. Prior to that time they had been involved in pastoring Southern Baptist churches in North Carolina. Shirley, a native of Western North Carolina, was born near Hendersonville. She is a 1971 graduate of Western Carolina University with a degree in Elementary Education. In 2009, Shirley received a Doctorate of Theology Degree from Christian Life School of Theology, Columbus, GA.
Shirley was raised as a daughter of a Pastor, so the work of the ministry is no surprise for her. When she and Frank were married in 1970, he was already pastoring a church, so their life together has been in ministry. They have taught and led Couples' Retreats and Seminars throughout the Southeastern United States, as well as Leadership Seminars internationally. In 1995, Shirley began a ladies outreach to female inmates at various nearby jails. This ministry is still very active and has produced much fruit of healing and salvations. She also trained workers for the Life Ministry Team and Ladies Mentoring Program at New Covenant Church. This involved coordinating many workers who minister to those who need intensive spiritual help. Shirley speaks at many churches, primarily in the Southeast, as well as internationally. She has ministered in ladies conferences in Mexico, Scotland, Honduras, Russia and Greece. 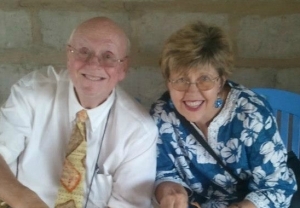 Currently, Shirley and her husband Frank travel extensively giving oversight to many ministers and wives. Covenant Life Ministries was birthed as a need for this kind of pastoral ministry.